As marketing professionals, we were generally taught to think of the customer journey as linear; the infamous acquisition funnel (which we can recite in our sleep) leads customers from one point to the next via a predefined set of stages. The customers of our imagination jump from one stage of the funnel to the other, maybe lingering here or there for awhile, until finally—hopefully—converting. The customer journey is of course far from linear. It’s more like a maze with trap doors, where the customer interacts with a brand or product multiple times in multiple places. Through carefully-crafted targeting and retargeting sequences, the customer encounters the brand on various channels and devices. Hopefully, eventually, the customer converts; but you won’t know in advance when or where (or most importantly, why). Technology has gotten better about marketing transparency. Data does for marketers today what advertisers could only dream of a mere decade ago. However, despite the indisputable value that data has added, modern marketers are still struggling to see the full picture and measure the success of their efforts. Technology is out-developing analytics, with more devices becoming “smart” and offering always-on content and connectivity. The complexity of the customer journey multiplies and becomes increasingly fragmented. With faster-than-ever technology adoption rates, the average person today has 4-6 connected devices, switching constantly from one to the other. It is the era of constant-connectivity: whether on the train, at work, or even in bed. The average marketer doesn’t have the ability to tie together these multiple personas and flesh out a single user from them. With the data coming in from a myriad of sources by multiple means of measurement, marketers are getting visibility into pieces of, but never the whole puzzle. On average, research shows that a given person can have up to 40 fragmented profiles in a single database; longer customer journeys that have more touchpoints (such as travel purchases or big-ticket retail) produce even more fragmented profiles. It may seem near impossible to tie any of them together. Understanding how all of these data fragments connect—or that they connect at all in the first place!—is essential for understanding the customer journey and making crucial, informed strategy decisions. This is one of the biggest and most expensive struggles marketers have been facing since the dawn of mobile internet, and it’s only getting more challenging. The typical marketer nowadays uses several different data tools to assess and analyze user behavior. According to Gartner, 36% of B2C marketing analytic leaders in 2019 report that they have too many data analysis tools, and 37% said they don’t even have the right tools. This multitude of MarTech tools may help marketers gain some data visibility, but it also creates silos: data is collected, stored and analyzed in separate databases, by different teams. Collecting insights on the customer’s journey, experiences, and collective analysis of customer data means breaking down these silos, a task that no MarTech provider yet has been able to do effectively. The worst of the data silos exist between different platforms, notably web-to-native-app mapping, where it is nearly impossible to tie one data set in with the other. When it comes to tying web activity to mobile activity, marketers often find themselves at a loss. Attribution has helped fill many of the data gaps for marketers, tying together user actions to help build and optimize strategies and spending. Mobile attribution was once as significant a problem as the cross-device, fragmented-persona puzzle described above. Since mobile is the glue between online, digital and offline customer interactions, as well as between devices, solving mobile attribution was a significant step in breaking down data silos. Mobile marketing has proven to be the most efficient, driving the highest conversion rates, highest revenues and most loyal user-bases. For these reasons, brands have recreated their marketing and product strategy, shifting efforts to become mobile-first companies. AppsFlyer has spent the past seven years developing solutions for the fragmentation of the mobile journey. We’ve invested our efforts in developing an unparalleled mobile attribution solution, providing marketers with the most accurate visibility into the user journey across mobile. Through our experience and unwavering product innovation we have become the world’s leading mobile attribution provider with over 72% of the market share; the AppsFlyer SDK can be found on an estimated 98% of mobile devices worldwide, a scale unmatched in the market. This scale helps us to harness the data that connects and links different aspects of the customer journey covering millions of different edge cases. 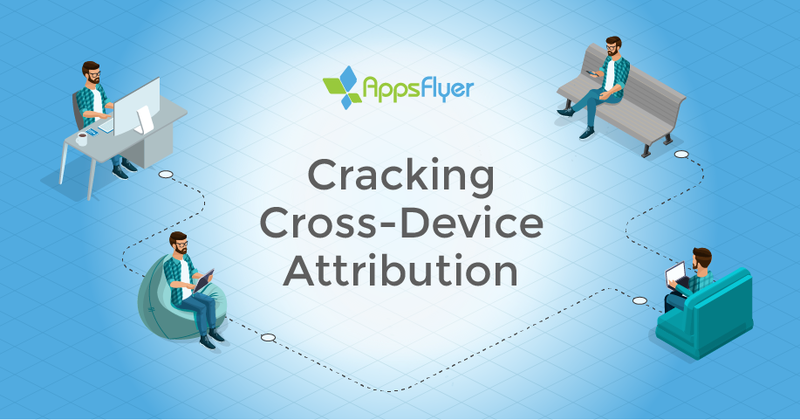 Building upon the infrastructure and experience we have amassed in this process, we are now directing our efforts to cracking cross-device attribution. Attribution isn’t a technology that can be developed on the fly; it is far more complex than just tracking deep links. Connecting the dots between devices, platforms and channels requires substantial expertise in attribution, which can only be developed with the right infrastructure and experience. The market is hungry for a trusted solution, and we’re here to provide it. As a seasoned and passionate Senior Product Manager, Roi brings a strong blend of leadership skills and extensive experience in data driven product development and agile methodologies. Roi holds a degree in computer science and is fascinated by everything AI. When not working, Roi likes travelling the world and driving his friends crazy with his (dark) sense of humor.